Heat 5 of The Bellbrook Cup was attended by a very healthy 18 anglers and a fine days fishing it was too. The weather held and turned into a beautiful sunny afternoon with no wind - a rare treat for the time of year. 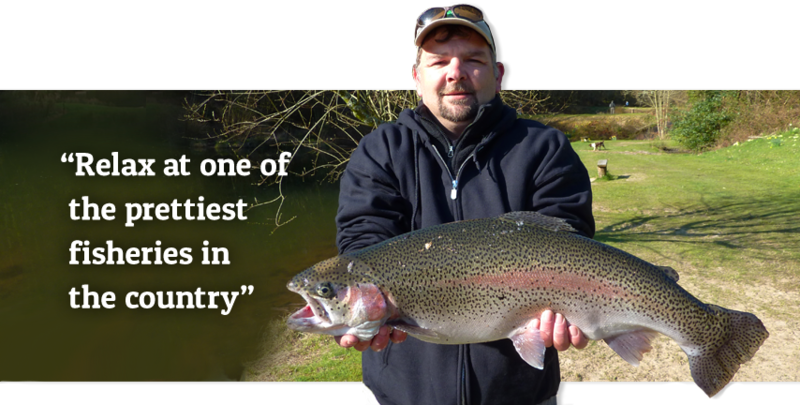 The best effort came from regular Bellbrook angler Karl Baker of Exeter who managed 5 fish out of a maximum of 6 for a weight of 14lb 9oz. Perhaps not the biggest bag for Belllbrook but as the competition is based on numbers of fish this puts Karl in an excellent position for a place in the final. Pushing Karl but coming 2nd was Richard Cooper from Ilmington who also managed 5 fish but with a total weight of 13lb 12oz.